Home → Did you know? 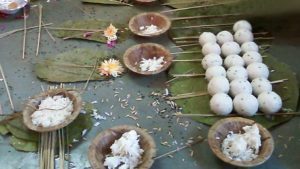 → Why Pongal Festival ? Pongal is one of the oldest festivals celebrated by the people in South India, especially by those in the state of Tamil Nadu. The festival dates back to the Sangam Age which was around the 200 B.C. To 300 A.D. Despite originating as the harvest festival of Dravidians, historians have linked this festival to that of Thai Un and Thai Niradal pertaining to the Sangam age. The festival of Pongal also finds mention in some of the ancient Sanskrit literature. The Thai Niradal is one of the most prominent festivals of the Sangam Era. The festival of Pongal is said to have its roots from the celebrations of Thai Niradal. Thai Niradal was a major festival pertaining to the Pallava Kingdom which ruled from the 4th to 8th century AD. 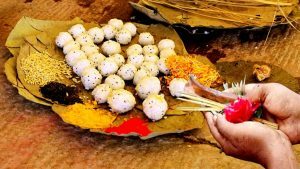 In those days, the much revered ‘Pavai Nonbu’ was observed by young women during the tamil month of Marazhi. They took bath early in the morning and prayed the idol of Devi Katyayini which was moulded from wet sand. They avoided consuming dairy products for the entire month which ends with Thai Niradal festival. This Paavai Nonbu was undertaken to pray for abundant rains, thereby bringing happiness and prosperity in the region. These ancient traditions and customs gave rise to the Pongal celebrations later. The celebrations of Thai Niradal and the sacred Paavai Nonbu have been extensively spoken about in the ancient Tamil literature like the Andal’s Tiruppavai and Manickavachakar’s Tiruvembavai. The inscriptions found in the renowned Lord Veeraraghava temple at Tiruvallur mentions that Chola King Kiluttunga had the practice of gifting land to the temple as part of the Pongal celebrations. There are two prominent tales associated with the celebration of Pongal festival. One is related to Lord Shiva while the other on Indra and Lord Krishna. According to a famous legend, Lord Shiva had asked his bull, Basava, to visit the earth and ask the mortals to have oil massage and bath every day and to eat once a month. Basava on the other hand had inadvertently announced that everyone should eat daily and have an oil bath once a month. Thus Lord Shiva was angered by his mistake and cursed Basava to live on the earth forever. He would have to plough the fields and help the people produce more food. This has been the reason attributed to the close association of the Pongal festival with cattle. There is yet another legend associated with Indra and Lord Krishna which is believed to have led to the Pongal celebrations. During the childhood days of Lord Krishna, people used to perform a yagna every year to please Indra, the king of devas, seeking his blessings for the prosperity of their region. Meanwhile Indra is said to have become arrogant on getting all the praises. Lord Krishna wanted to teach a lesson to the arrogant Lord Indra and asked all the cowherds to stop worshiping Lord Indra. This angered Lord Indra who in turn sent his clouds to shower thunderstorms resulting in 3 days of continuous rains. In order to save the people and cattle from dying due to heavy rains, Lord Krishna is said to have lifted the Govardhan Hill with his little finger. Later, Lord Indra is believed to have realised his mistake and sincerely apologises to Lord Krishna. This event had displayed the divine powers of the young Krishna who had smashed the ego and arrogance of Indra. According to Hindu mythology, one year in the earth is equivalent to one day in the heaven( Gods world). The first day of the Tamil month of Thai is considered the beginning of the day time for gods, after a six-month long night. The Pongal celebration is spread over three days and is considered the most important harvest festival of South India. People perform a special puja on the first day of Pongal, called the Bhogi, before cutting the paddy. Farmers worship the sun and the earth on the second day by anointing their farming tools like the ploughs and sickles with sandal wood paste. They then use these consecrated tools for cutting the newly-harvested crop. Each day of the pongal festival has a unique set of activities attached to it. The first day, Bhogi Pongal, is the day for the family. Thai Pongal or the Surya Pongal, which is the second day, is mainly dedicated to the worship of Surya, the Sun God. People celebrate this occasion by making dishes like the ‘Venn pongal’ and the ‘sweet pongal’ which is made out of Boiled milk and jaggery. These dishes are offered to the Sun God, thanking the deity for blessing them with a good harvest. The third day is celebrated as the Mattu Pongal, where people worship their cattle, which assist them in farming. Cattle are decorated as part of this celebration with colourful bells and garlands. The cattle are fed with the Pongal that had been offered to the Gods.